If you like to interact with me on my Greeting Cards Blog August 2005 Page, please feel free to send me your comments. I love to hear your thoughts, ideas, and suggestions on card making. 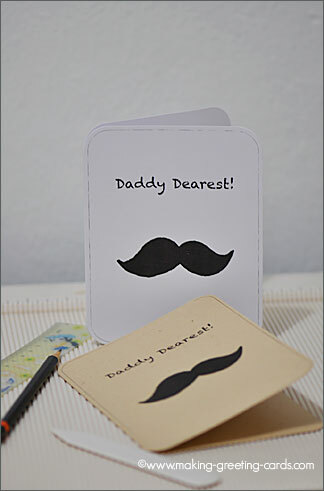 Please help me spread the joy of card making to as many people as possible by sending the URL of this site to your friends. To do so, just scroll down to the bottom of this page and click on Share this page. Many thanks for your assistance for spreading the joy of card-making. So glad to be able to get back to making greeting cards and working on this website. The past month has been rather hectic and my things were and some are still in carton boxes. But slowly I'm getting back control of things and most of all, my life. For the past few days, I have been struggling with back pain (guess age is catching up) and had to be real careful with my movement. I still do have pain but it's bearable. Anyway, I'm so glad to be back. Tonight, I hope to work on a Pergamano card. 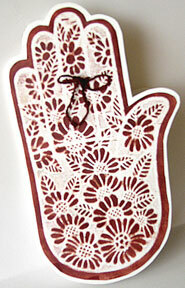 For those who do not know what it is - Pergamano is a parchment craft. 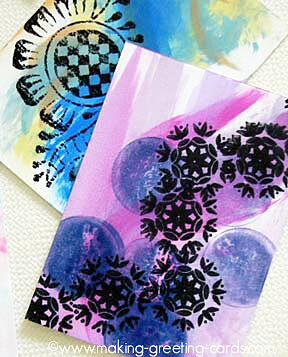 I will post a page on it soon and explain what it is and give step by step instructions on making these beautiful cards. For those who wrote me and are still waiting for my reply, I like to say "sorry for the delay". I will be responding to your emails in the next two days. Below I have picked three more handmade greeting card design ideas and articles for you to enjoy and hopefully, these will inspire you to start making your own handmade greeting cards today.